IF:Gathering – a yearly conference that can be experienced locally through live stream of video. IF:equip – a weekday Bible reading and reflection. IF:table – question prompts for women to meet once a month round the table to go deeper in their conversations around life and faith. You can find out more about IF by clicking here. 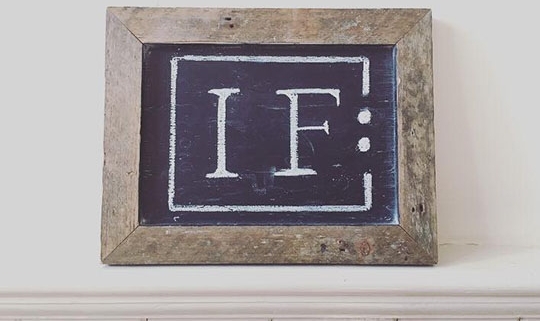 IF:Gathering encourages women who are connected with a church to gather women in their local context. IF:Chichester is led by Lou Moore and a group of gifted and passionate volunteers. We want to be women who live knowing God is real and His word is true, women who show up authentically and are ready to hear and be obedient to God’s transforming word whilst cheering each other on as we run our race. We want to be women who are equipped with God’s word and unleashed to be all who God has call us to be in our churches, workplaces and families. IF:Chichester is not about numbers and building big events but about providing space and encouragement for women to live lives obedient to God. We gather for termly brunches and an annual conference. We also have a private group on Facebook (click here) which is a great place to find out more information about upcoming events, as well as to connect with others on their journey of faith in Jesus. We would love for you to join us! All women are welcome, from every denomination and background. Please contact Lou Moore if you would like to know more (chandler.louise@googlemail.com).